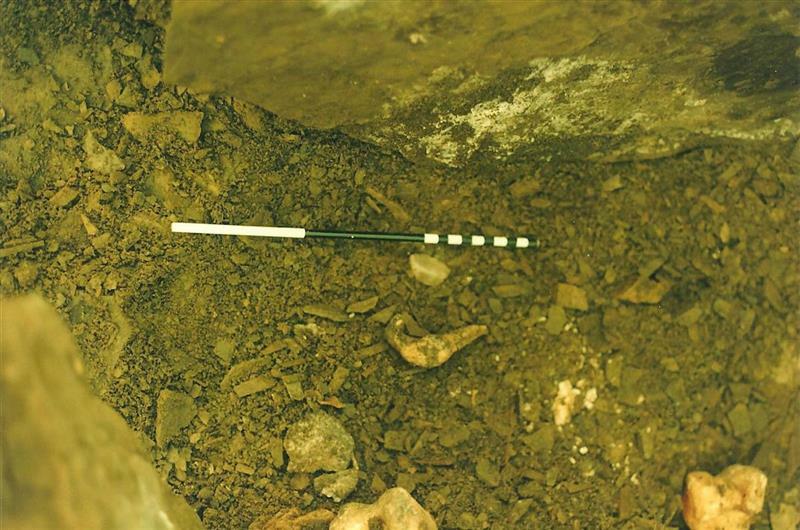 A Bronze Age cist burial containing a single, exceptionally tight crouched burial of a young woman with accompanying grave goods including: a short-necked Beaker, a bovine scapula, two flint flakes and a tiny thumb-nail scraper. 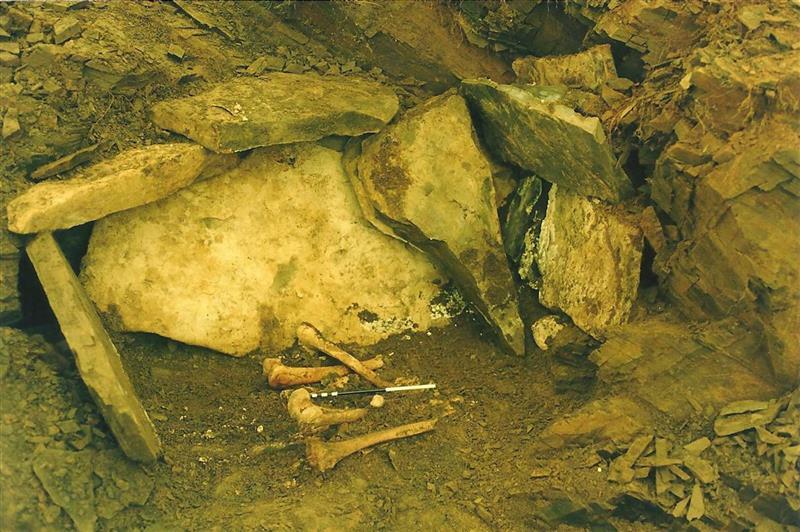 In 1989 the skeleton was radiocarbon dated to 3700±50 BP (collagen from femur: BM-2590, 2200-2020 cal BC at 68.2%, 2280-1940 cal BC at 95.4% probability), as part of the British Museum Beaker dating project. 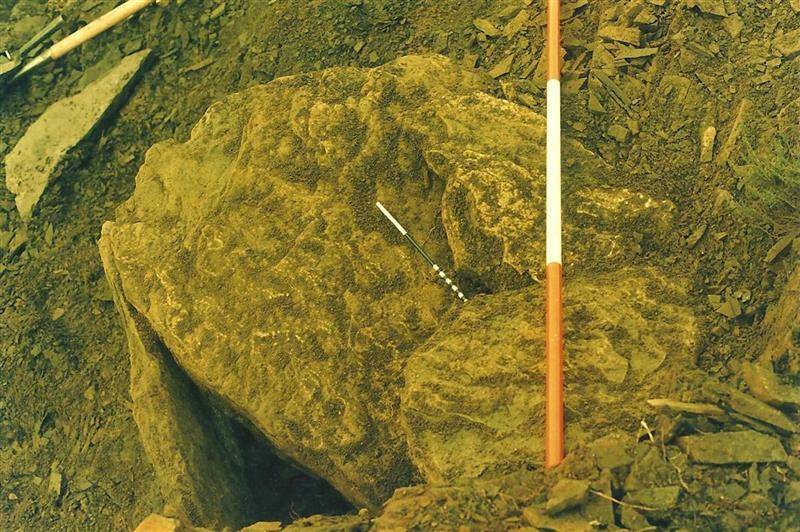 Two radiocarbon dating samples were taken and processed by SUERC in 2017. 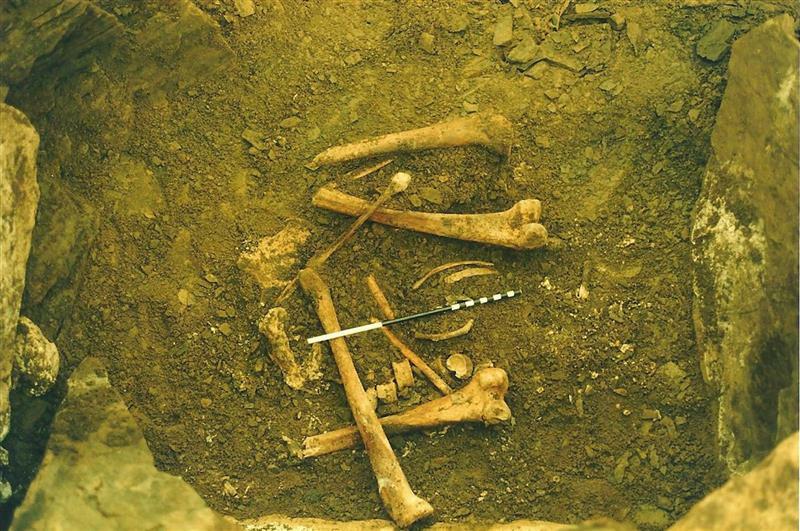 The first sample (funded by The Natural History Museum, London) was taken from a fragment of human bone (right tibia). 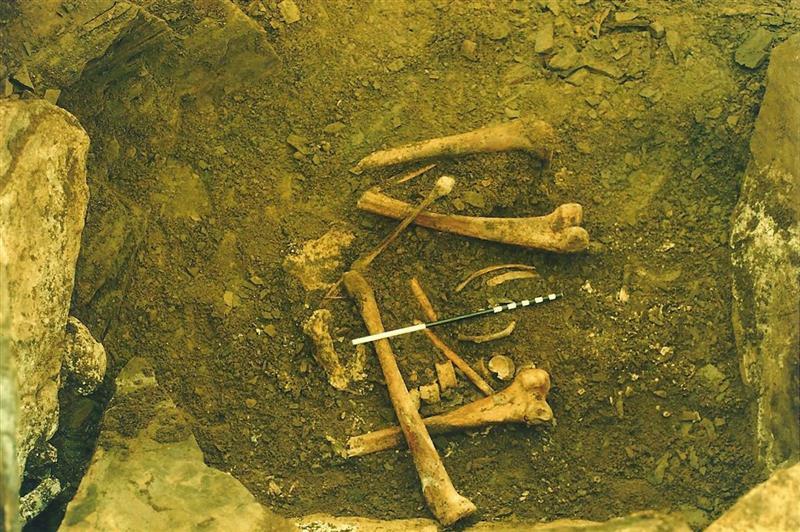 The second sample (funded by the Society of Antiquaries of Scotland) was taken from the bovine (cattle) scapula. SUERC-71005 3827+-33 BP, 2460-2140 cal BC at 95.4% probability. SUERC-73443 3829+-32 BP, 2460 - 2150 cal BC at 95.4% probability. <1> Text/Publication/Article: Highland Regional Council. 1987. 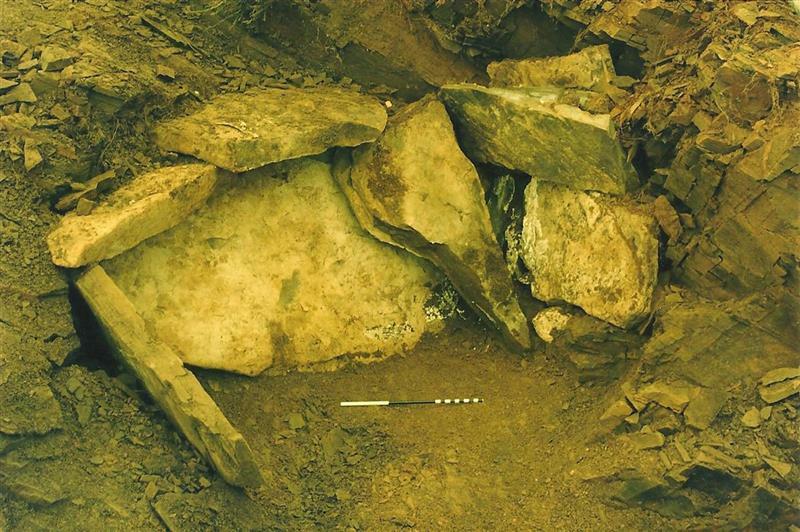 'The Achnavanich Cist Burial', Highland Council Archaeology Guide. 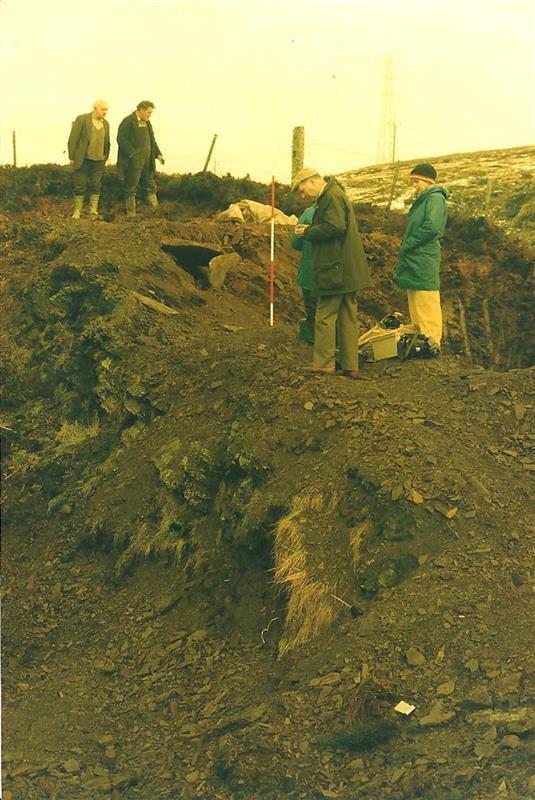 Highland Council Archaeology Guide. <2> Text/Manuscript: Gourlay B. 1988. 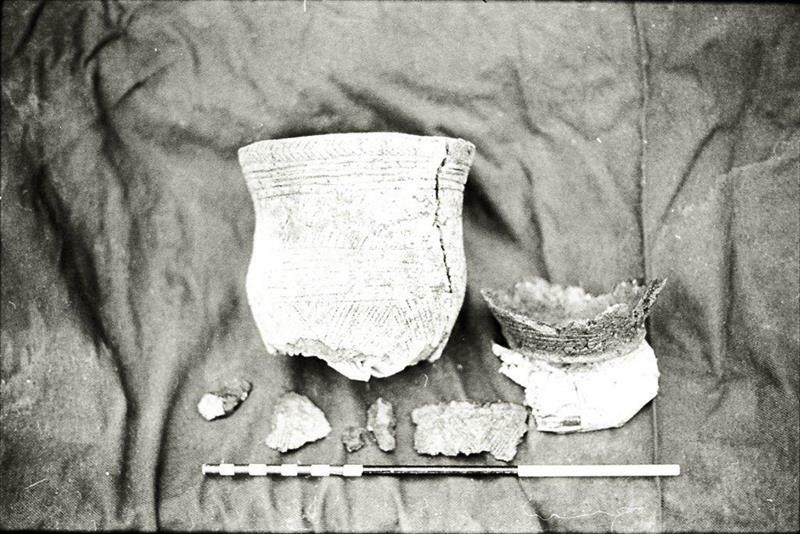 A Bronze Age Beaker from Achnavanich. <3> Image/Photograph(s): Gourlay, R. 1987. 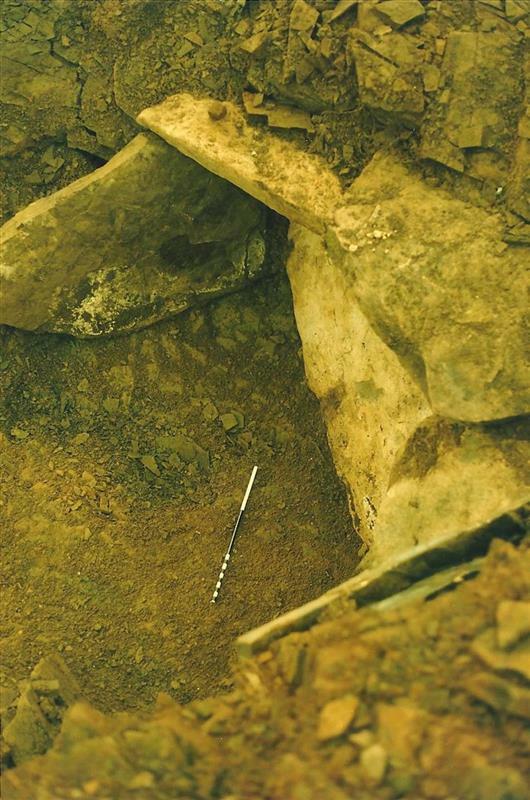 Interior detail prior to excavation. Colour Negative. No. Digital (scanned). <4> Image/Photograph(s): Gourlay, R. 1987. Detail of interior after capstone has been removed. Colour Negative. No. Digital (scanned). <5> Image/Photograph(s): Gourlay, R. 1987. 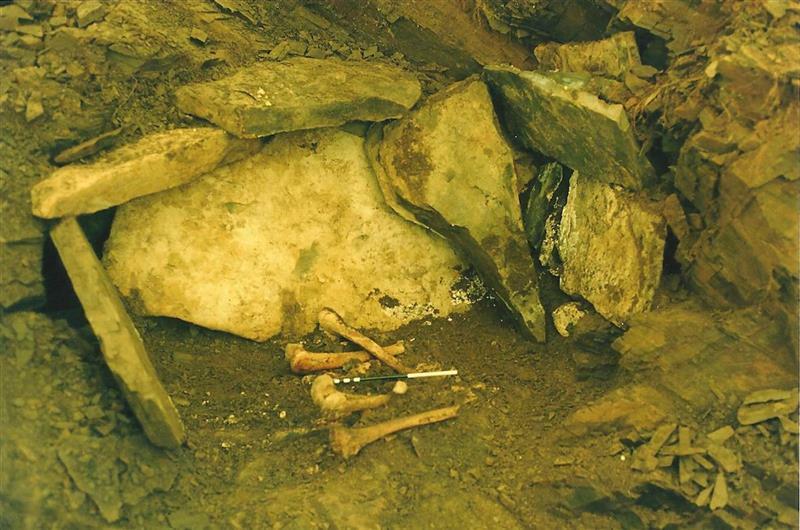 Burial cist - after excavation. Colour Negative. No. Digital (scanned). <6> Image/Photograph(s): Gourlay, R. 1987. Interior - after removal of skull (for safety reasons). Colour Negative. No. digital (scanned). <7> Image/Photograph(s): Gourlay, R. 1987. 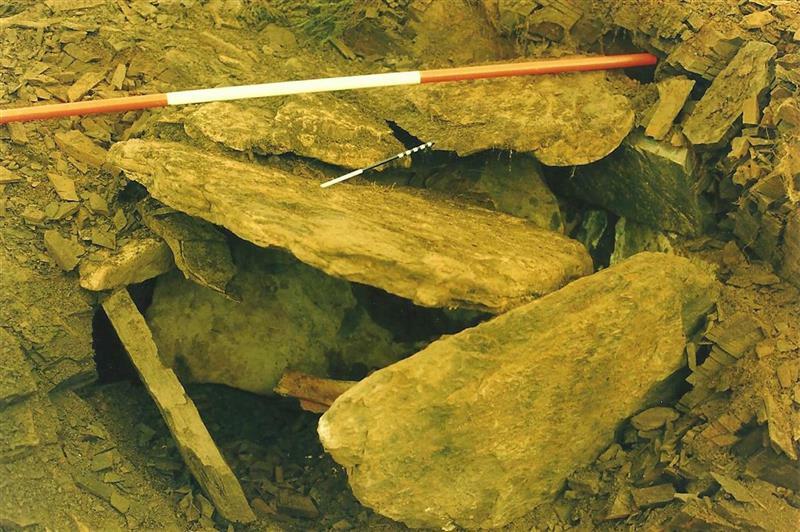 Burial cist - after removal of capstone and front stone. Colour Negative. No. Digital (scanned). <8> Image/Photograph(s): Gourlay, R. 1987. 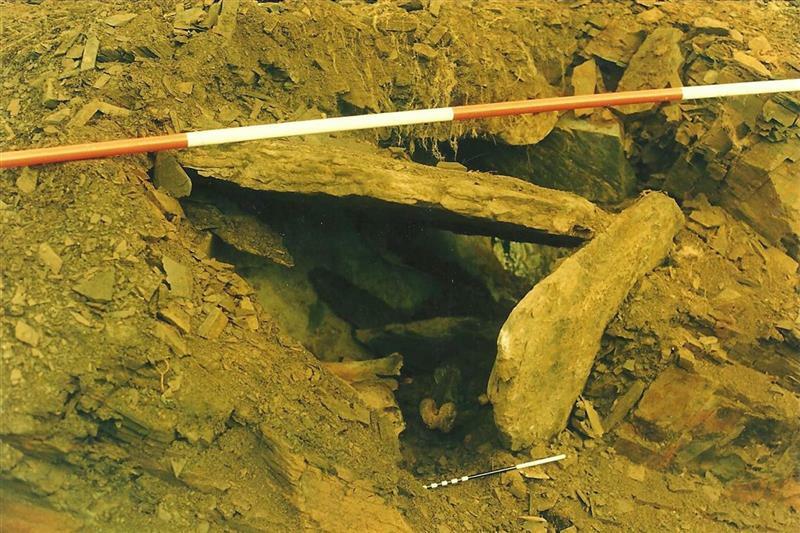 Excavated cist from above. Colour Negative. No. Digital (scanned). <9> Image/Photograph(s): Gourlay, R. 1987. 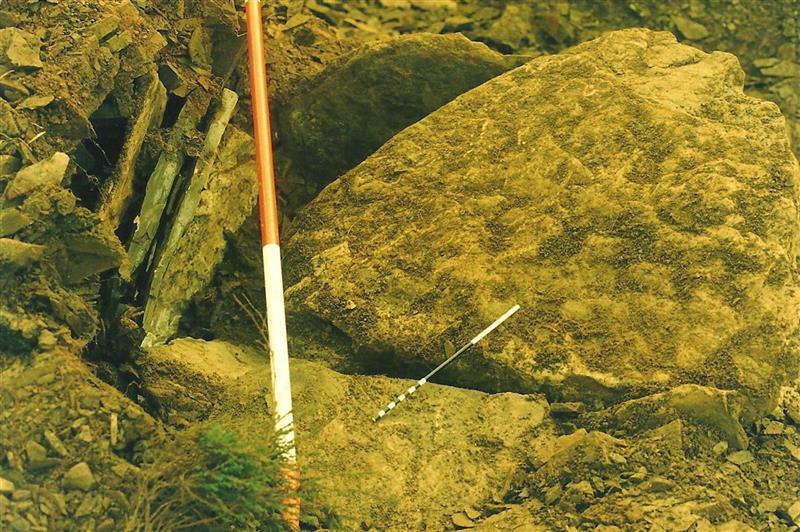 Capstone and slates - from above. Colour Negative. No. Digital (scanned). <10> Image/Photograph(s): Gorurlay, R. 1987. 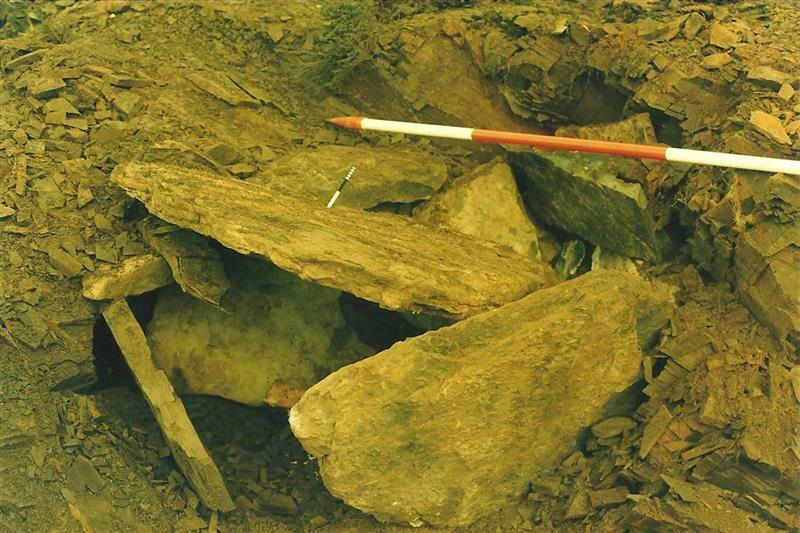 Detail of interior after capstone has been removed - close up view. Colour Negative. No. Digital (scanned). <11> Image/Photograph(s): Gourlay, R. 1987. 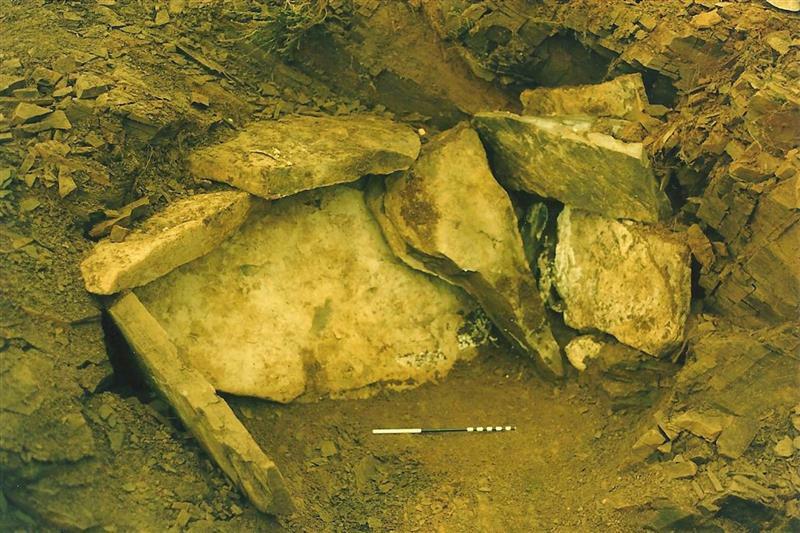 Excavated cist - general view. Colour Negative. No. Digital (scanned). <12> Image/Photograph(s): Gourlay, R. 1987. 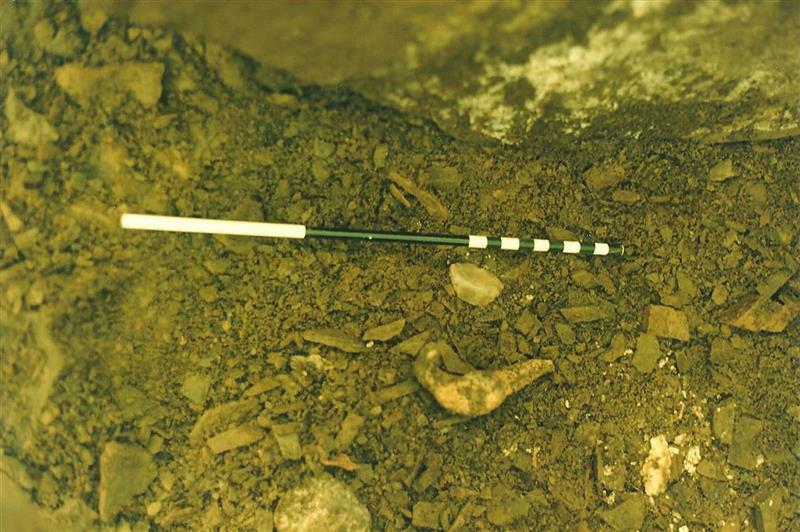 Cist - interior showing flint. Colour Negative. No. Digital (scanned). <13> Image/Photograph(s): Gourlay, R. 1987. 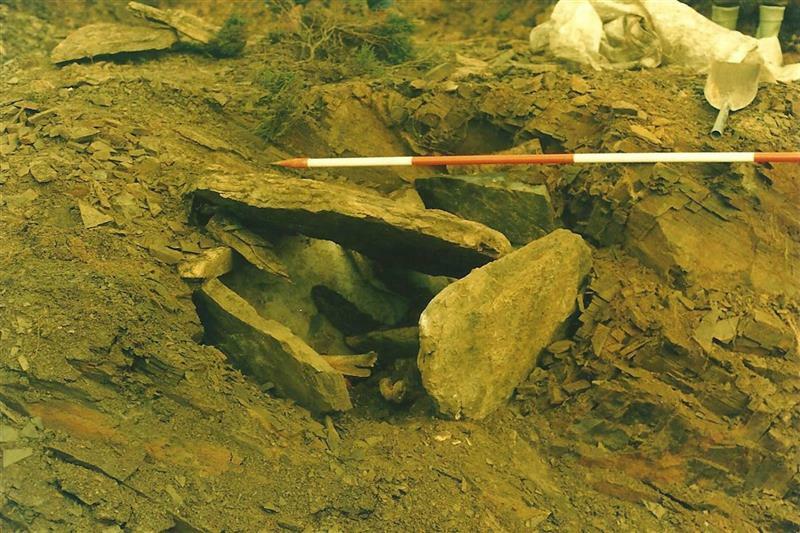 Burial cist - after excavation (capstone, frontstone and inhumation removed). Colour Negative. No. Digital (scanned). <14> Image/Photograph(s): Gourlay, R. 1987. 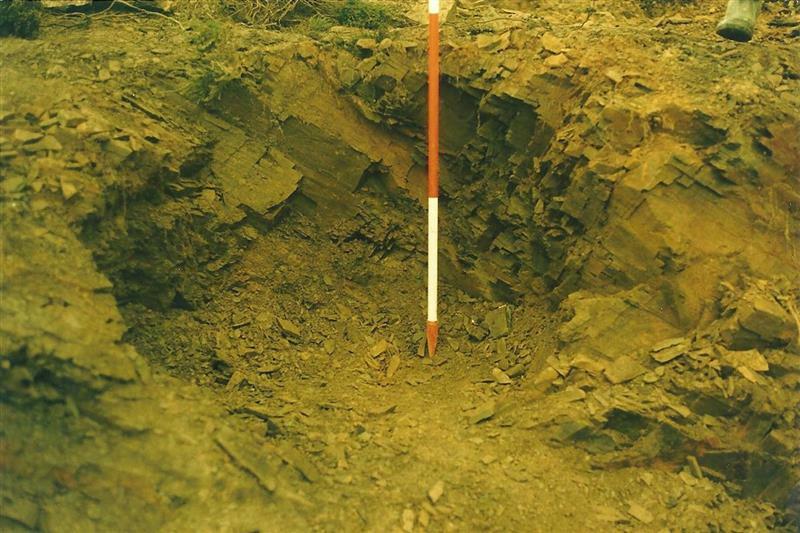 General view prior to excavation. Colour Negative. No. Digital (scanned). <15> Image/Photograph(s): Gourlay, R. 1987. 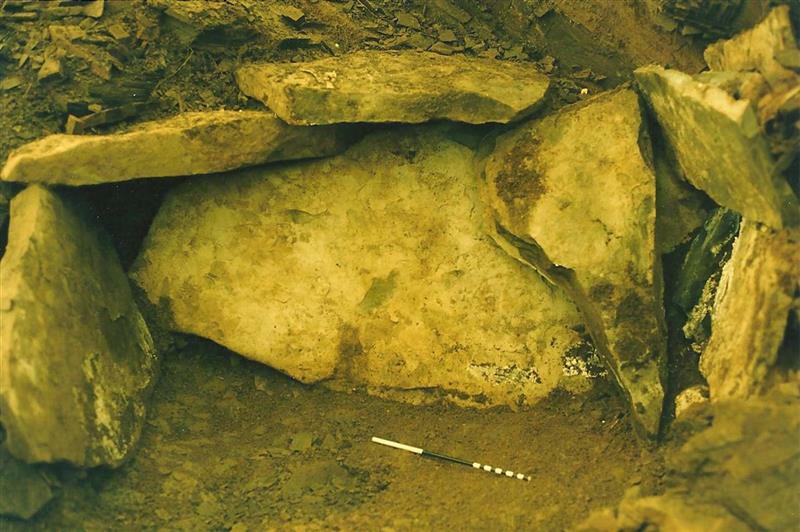 Cist - interior showing flint. Colour Negative. No. Digital (scanned). <16> Image/Photograph(s): Gourlay, R. 1987. 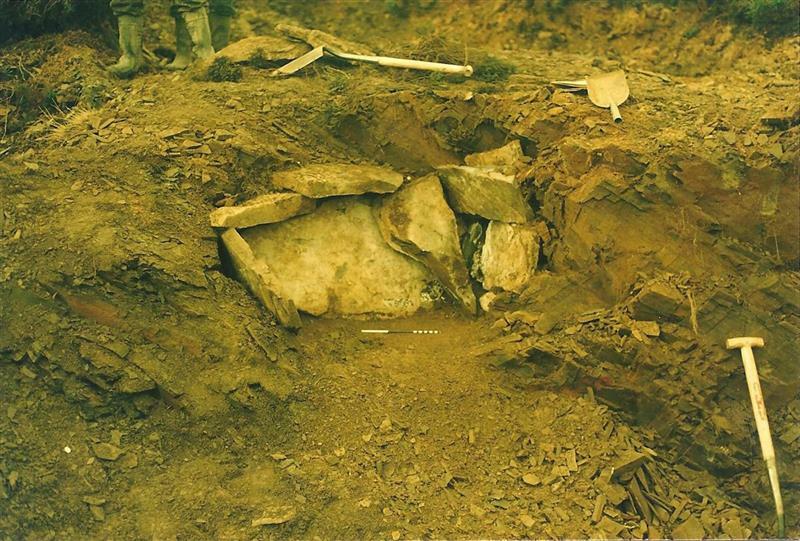 Burial cist - after excavation (capstone, frontstone and inhumation removed). Colour Negative. No. Digital (scanned). <17> Image/Photograph(s): Gourlay, R. 1987. 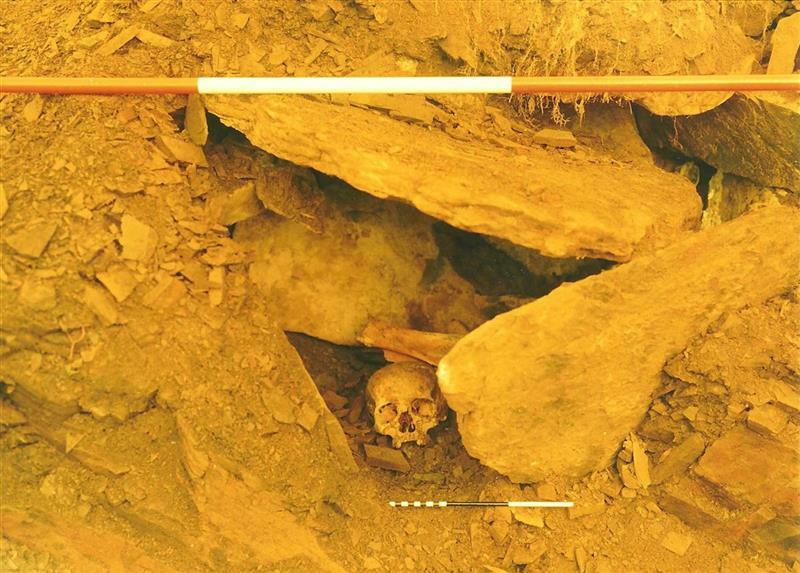 Interior - after removal of skull (for safety reasons) - closer up. Colour Negative. No. Digital (scanned). <18> Image/Photograph(s): Gourlay, R. 1987. Detail of interior after capstone has been removed. Colour Negative. No. Digital (scanned). <19> Image/Photograph(s): Gourlay, R. 1987. 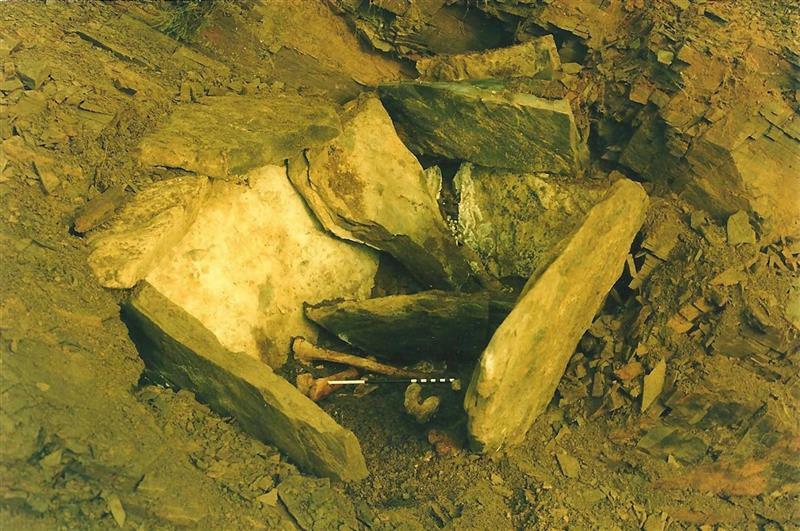 Cist - interior excavated, from above. Colour Negative. No. Digital (scanned). <20> Image/Photograph(s): Gourlay, R. 1987. Interior - after removal of skull (for safety reasons). Colour Negative. No. Digital (scanned). <21> Image/Photograph(s): Gourlay, R. 1987. Detail of interior after capstone has been removed. Colour Negative. No. Digital (scanned). <22> Image/Photograph(s): Gourlay, R. 1987. Capstone - from above. Colour Negative. No. Digital (scanned). <23> Image/Photograph(s): Gourlay, R. 1987. 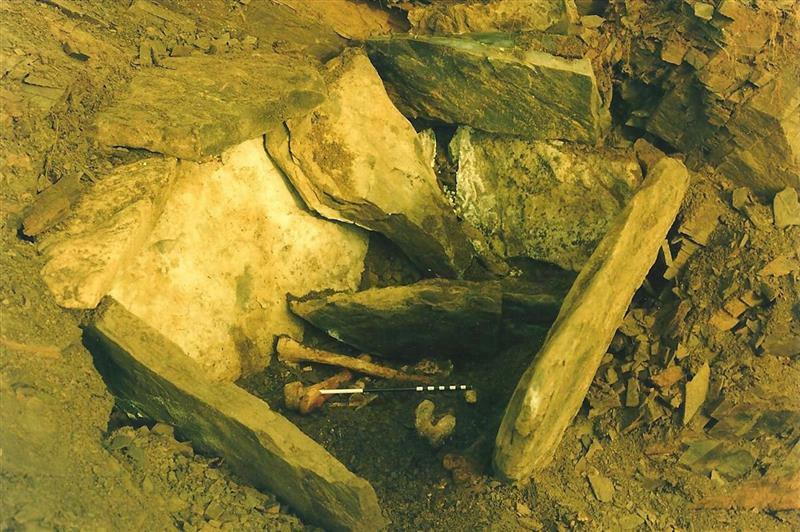 Burial cist - interior (showing position of bones). Colour Negative. No. Digital (scanned). <24> Image/Photograph(s): Gourlay, R. 1987. 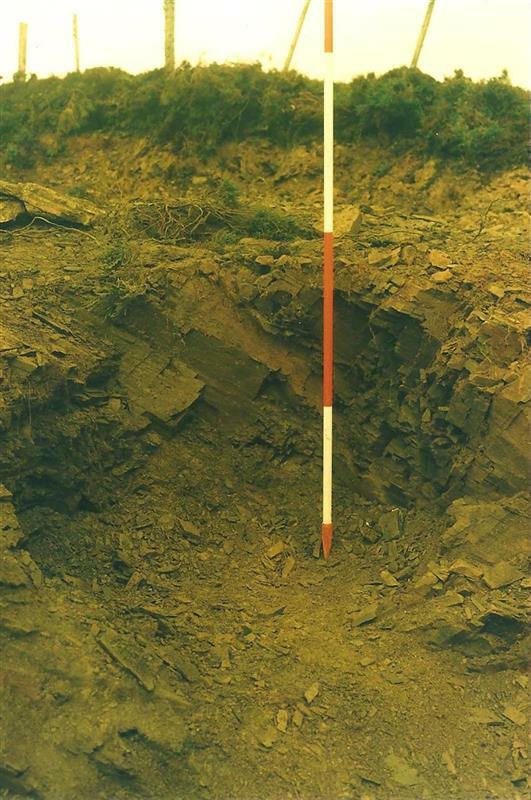 Site of burial cist: stone cut rock hole. Colour Negative. No. Digital (scanned). <25> Image/Photograph(s): Gourlay, R. 1987. General view - after clearance of surrounding rubble. Colour Negative. No. Digital (scanned). <26> Image/Photograph(s): Gourlay, R. 1987. Detail of interior after capstone has been removed - close up view. B/W Negative. No. Digital (scanned). <27> Image/Photograph(s): Gourlay, R. 1987. 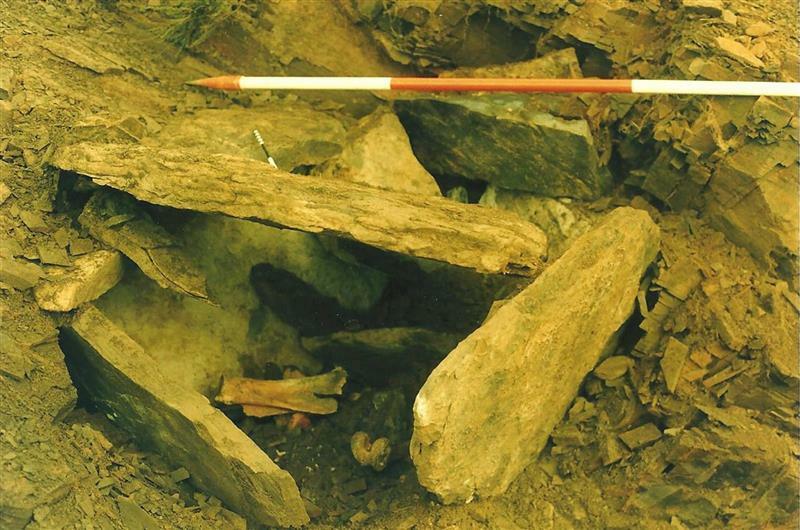 Excavated cist - general view. Colour Negative. No. Digital (scanned). <28> Image/Photograph(s): Gourlay, R. 1987. Top slates - removed. Colour Negative. No. Digital (scanned). <29> Image/Photograph(s): Gourlay, R. 1987. 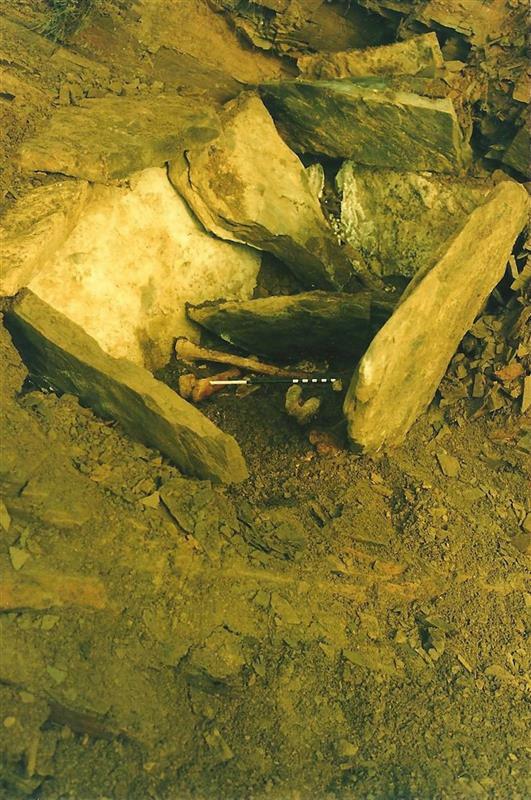 Burial cist - interior (showing position of bones). Colour Negative. No. Digital (scanned). <30> Image/Photograph(s): Gourlay, R. 1987. 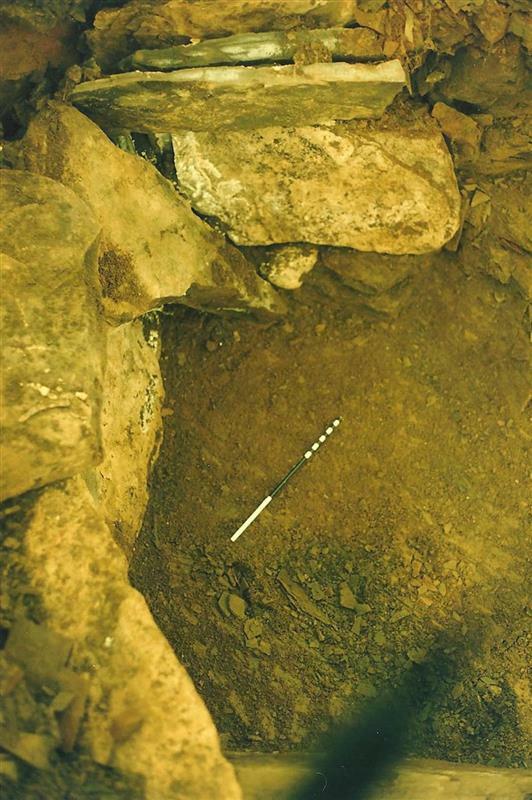 Site of burial cist - stone cut rock hole. Colour Negative. No. Digital (scanned). <31> Image/Photograph(s): Gourlay, R. 1987. 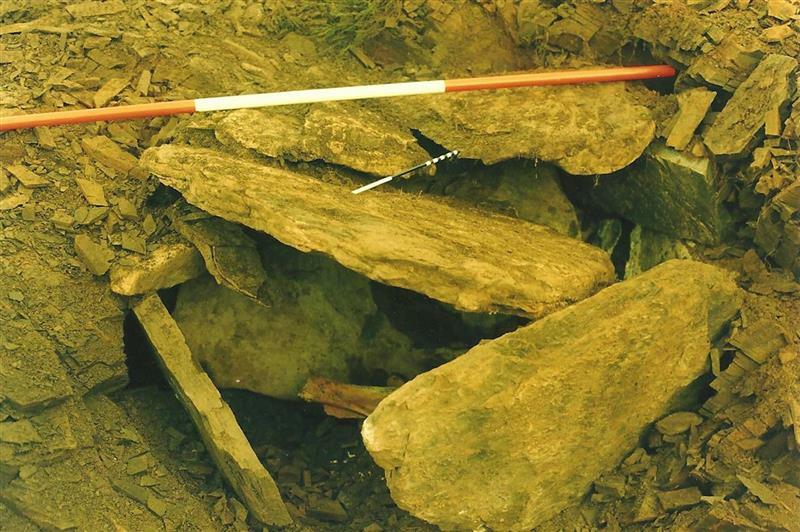 Burial cist - general view. Colour Negative. No. Digital (scanned). <32> Image/Photograph(s): Highland Regional Council. 1987. 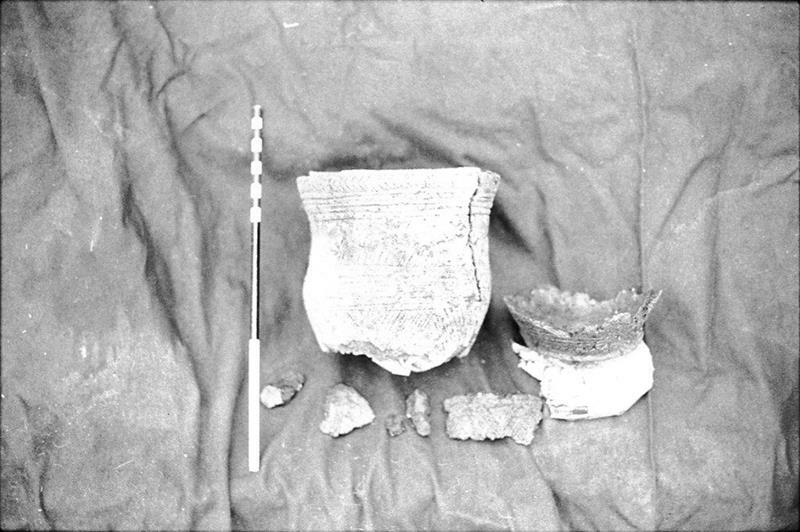 Achavanich beaker prior to reconstruction. B/W Negative. No. Digital (scanned). <33> Image/Photograph(s): Highland Regional Council. 1987. 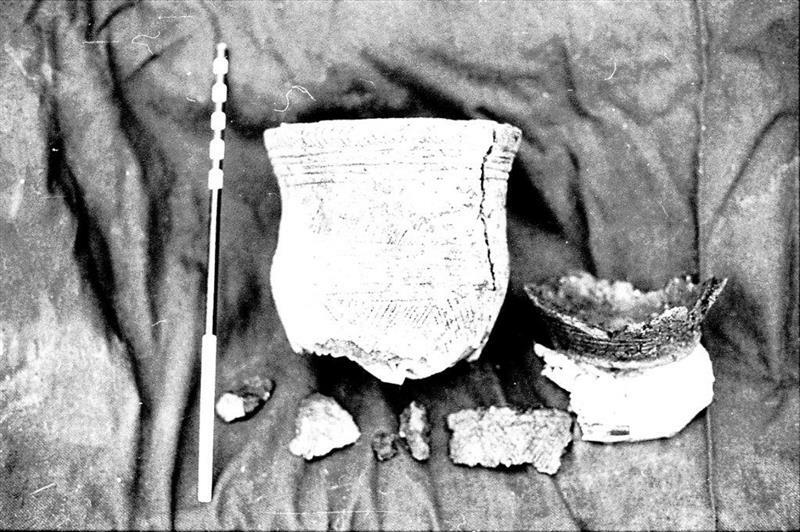 Achavanich beaker prior to reconstruction. B/W Negative. No. Digital (scanned). <34> Image/Photograph(s): Highland Regional Council. 1987. 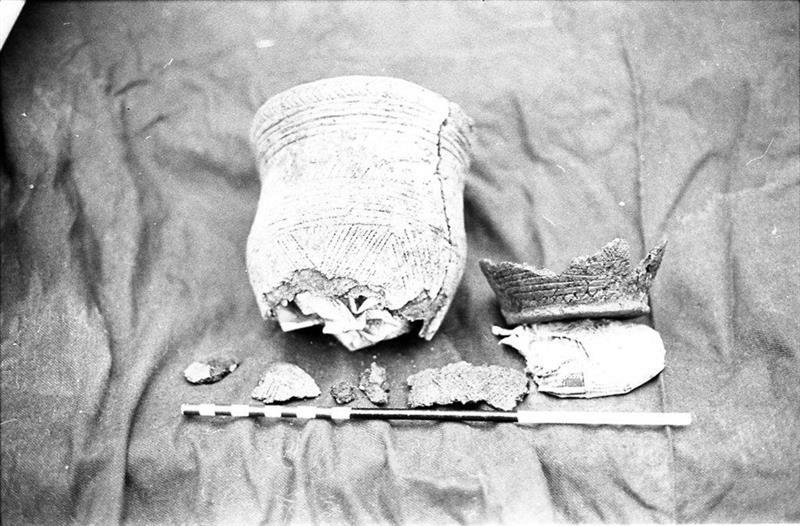 Achavanich beaker prior to reconstruction. B/W Negative. No. Digital (scanned). <35> Image/Photograph(s): Highland Regional Council. 1987. 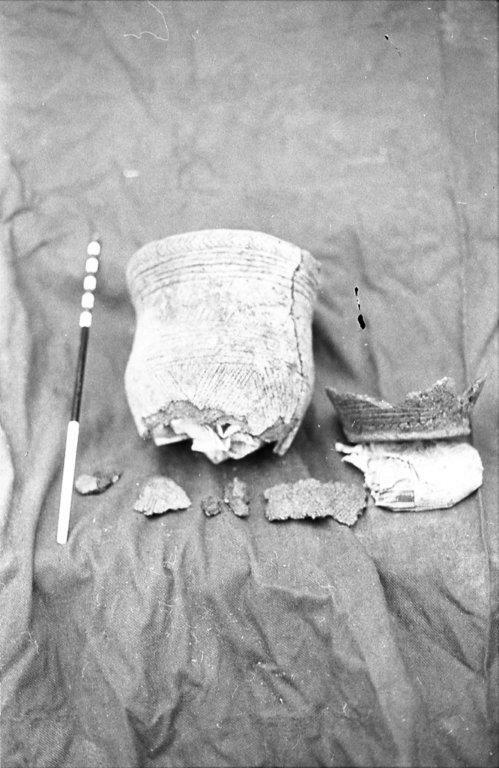 Achavanich beaker prior to reconstruction. B/W Negative. No. Digital (scanned). <36> Image/Photograph(s): Highland Regional Council. 1987. 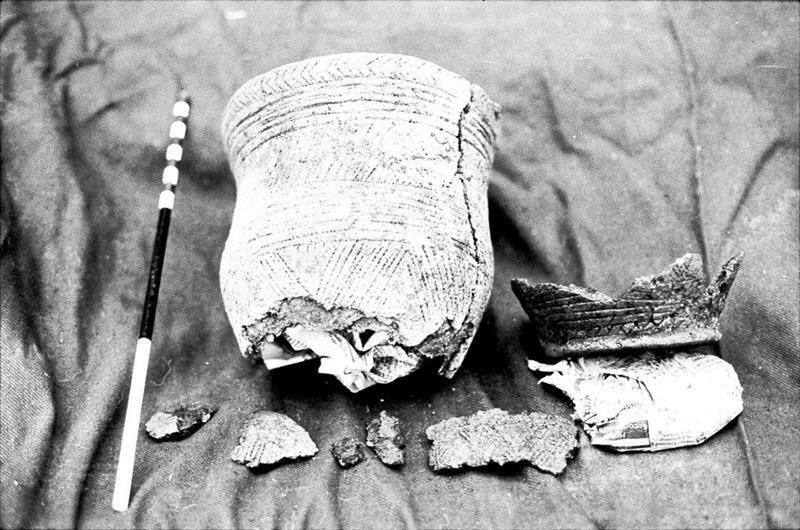 Achavanich beaker prior to reconstruction. B/W Negative. No. Digital (scanned). <37> Image/Photograph(s): Highland Regional Council. 1987. 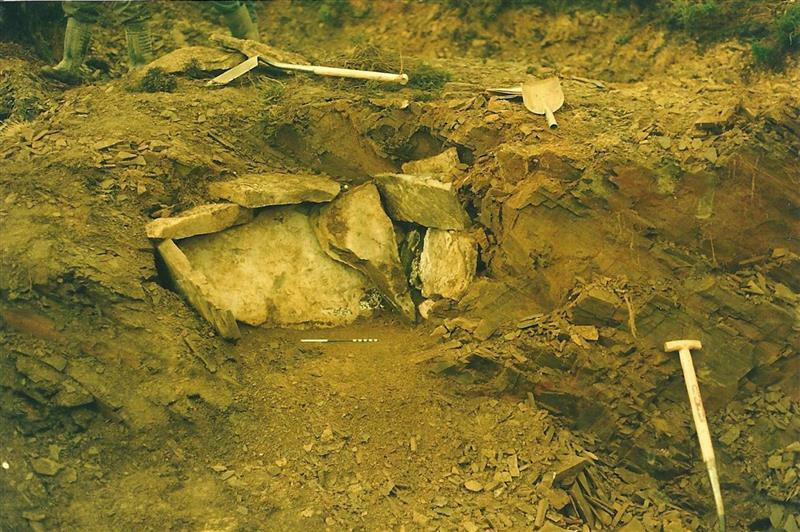 Achavanich beaker prior to reconstruction. B/W Negative. No. Digital (scanned). <38> Image/Photograph(s): Highland Regional Council. 1987. 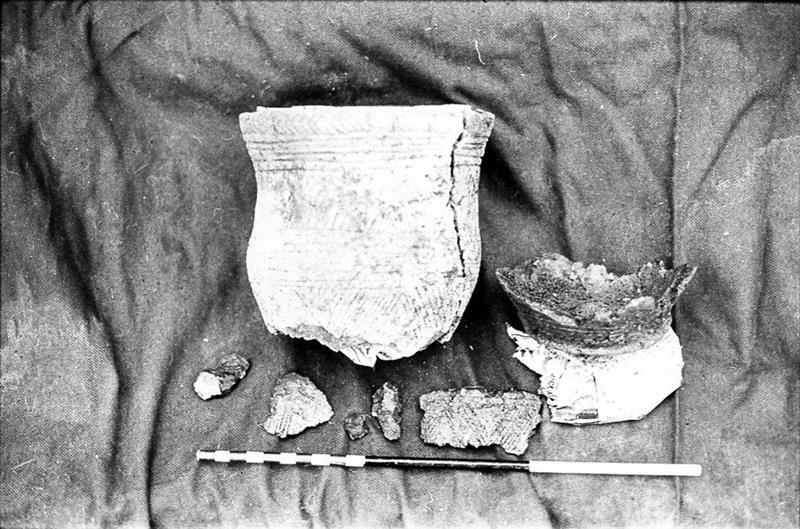 Achavanich beaker prior to reconstruction. B/W Negative. No. Digital (scanned). <39> Image/Photograph(s): Highland Regional Council. 1987. 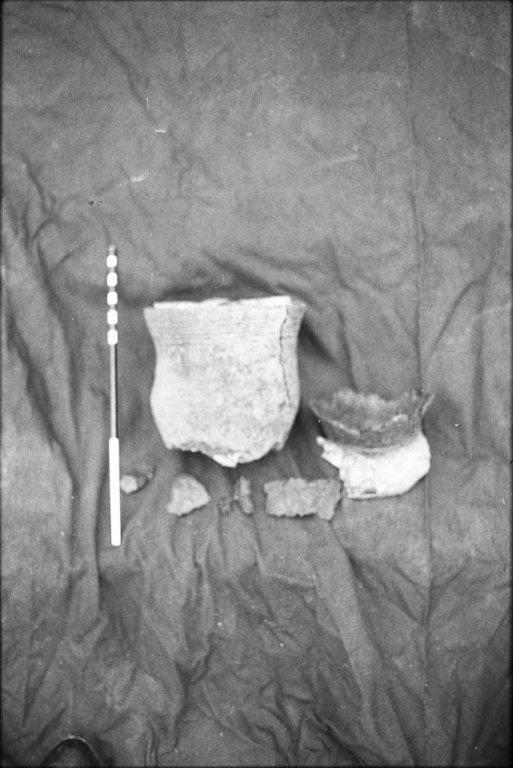 Achavanich beaker prior to reconstruction. B/W Negative. No. Digital (scanned). <40> Image/Photograph(s): Highland Regional Council. 1987. 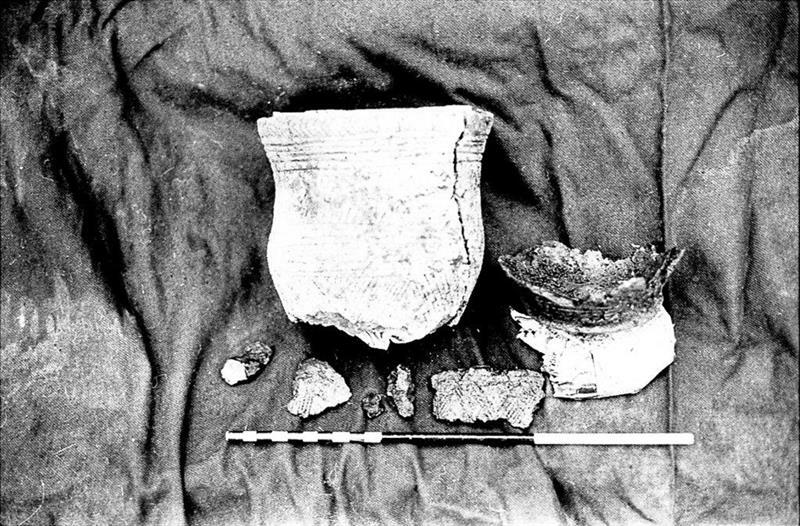 Achavanich beaker prior to reconstruction. B/W Negative. No. Digital (scanned). <41> Text/Report: Harman, Mary. 1987. Achavanich, Caithness: Human Remains. Harman, Mary. No. Digital (scanned as PDF). <43> Interactive Resource/Online Database: RCAHMS. Canmore, online database of the Royal Commission for the Ancient and Historical Monuments of Scotland (RCAHMS). 317871. <44> Text/Publication/Article: Hoole, M et al. 2017. 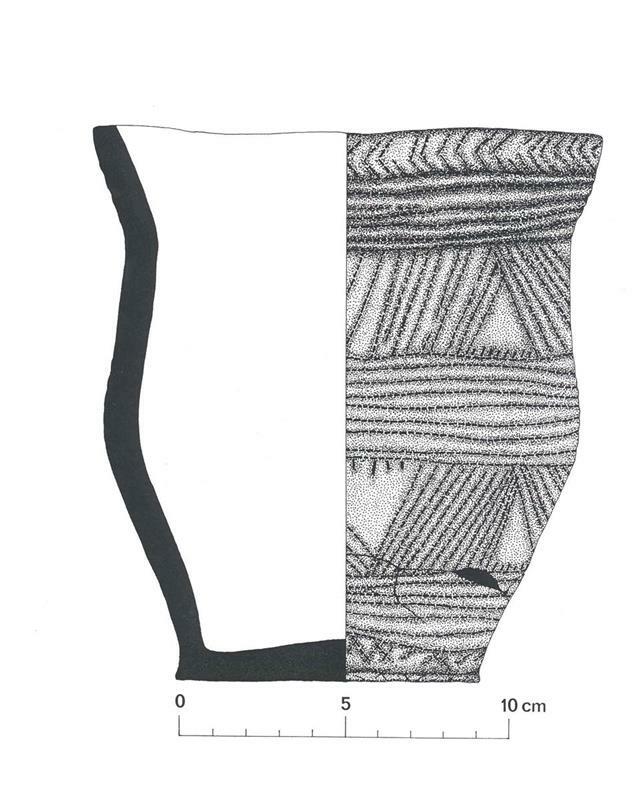 ‘“Ava”: a Beaker-associated woman from a cist at Achavanich, Highland, and the story of her (re-)discovery and subsequent study’. Proceedings of the Society of Antiquaries of Scotl. 73-118. Digital.